Built 1955-1961 by B. Bijvoet and G. H. M. Holt. 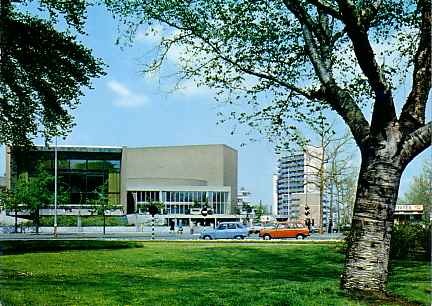 Opened 8 Apr 1961 by the Arnhem Toneelgroup Theater with Euripides's "Herakles". 850 seats. Reverse Text: "Nijmegen - Schouwburg"